Versatile iOS 10 app now much more improved for Optimize storage space especially when you get notification related to insufficient storage in iPhone/ iPad. In that, for best performance and user experience, here’s the guide to release storage space instantly through the below guide explained in details. Some of the former help still work, and some new added only in iOS 10/ iOS 11. Running out Storage space mostly came out in low storage iPhone (16GB or 32GB). In that live photo or HD videos allocate ample space, and it’s easy to flood black space. Depends on your usage or interest, you need to think of major role to fill up space in Device locally. Can’t Decide: Which types of Data, Where stored? Go to the Settings > General > About in iPhone/ iPad. The screen will show up Storage Capacity, Available Free space, Total saved songs, Videos, and Photos. Installed Applications and more in brief calculated under list. iOS 10 music app now we can optimize compared to previous music app from setting app. 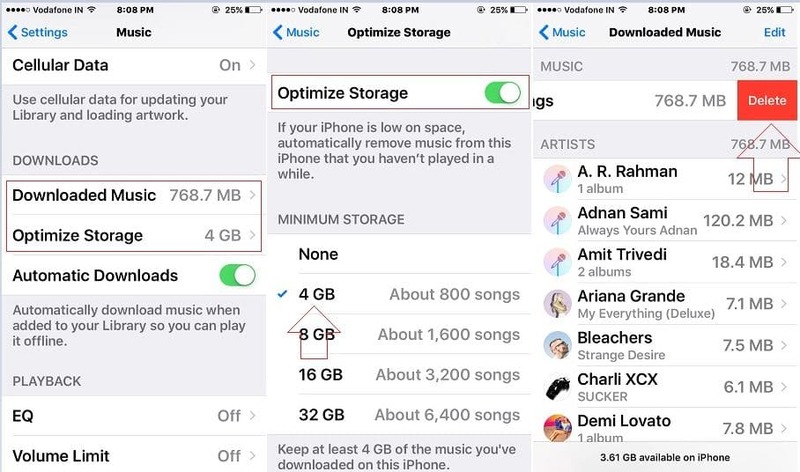 Go to the Settings > Music > Optimize Storage (Set Storage limitation for the music app, Exiding limit automatically deletes songs that have never played). in iOS 11: Go to the Settings > Music > Downloaded Music > Slide Left on Song Name or All Songs for Delete Whole album or Songs. Or remove selected album or Songs downloaded from apple music offline songs. So you can do that from Downloaded Music > Slide left to delete songs. Delete all Photos from iMessage conversation, or Set Auto remove message history Under the setting app. 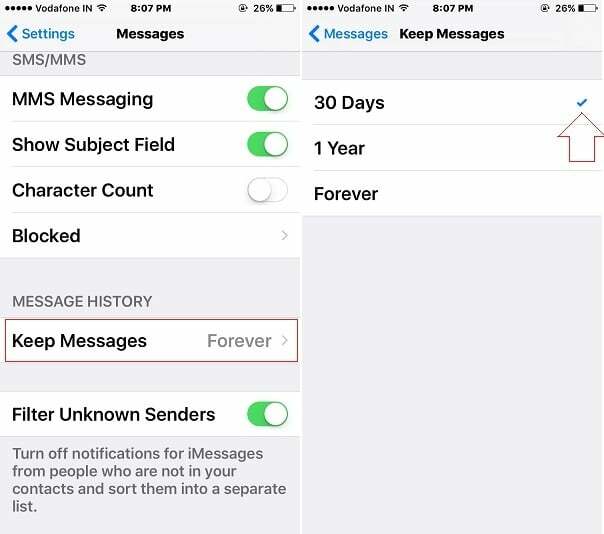 Go to the Settings > Messages > Message History Section “Keep Messages: 30Days, 1 Year or Forever”. For iOS 11: Go to the Settings > Messages > Keep Messages > Select Internval for Message. Keep tiny External Storage device for iPhone instantly move all data from iPhone/ iPad. Vast and smart flash storage device is beneficial on travel time or many uncomfortable places. Reviews all installed an app from home screen, to delete it completely Tap and Hold on app icon continuously, until jiggle icon with “x” mark on each app. Time to time all app is store Data in its portions under created app folder under root and store types of searching history, Cache, Temporary Files. For iOS 11: Go to the Settings > General > iPhone Storage > Scroll Down To See List apps and Option for Delete App or Offload app. 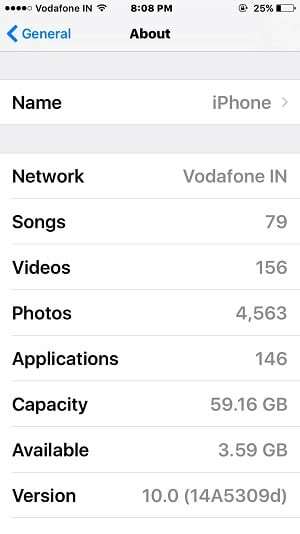 For iOS 10: Go to the Settings > General > Storage & iCloud Usage > Manage Storage > Tap on App > Delete app. 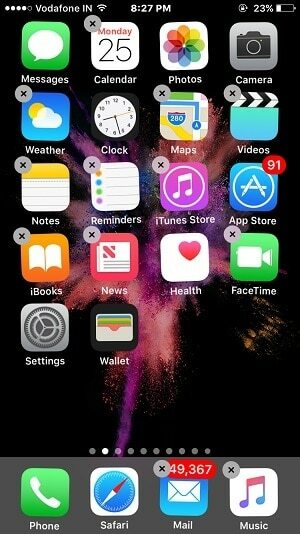 How to Offload apps in iOS 11? 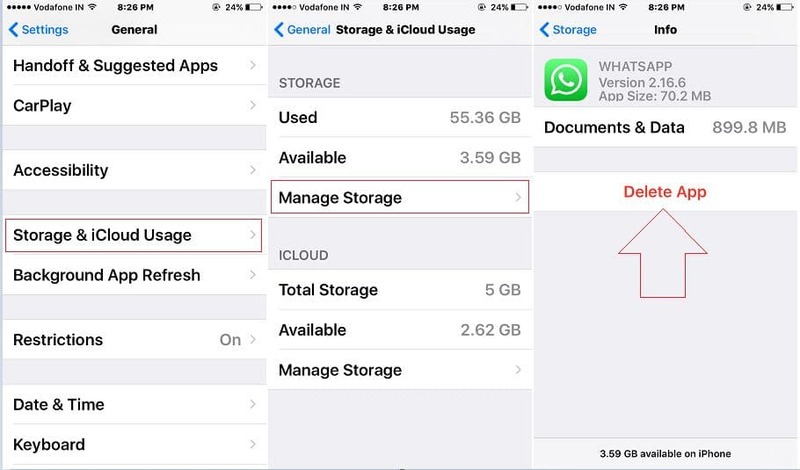 Once delete the app for Remove Documents & Data then Re-Install it from App store. 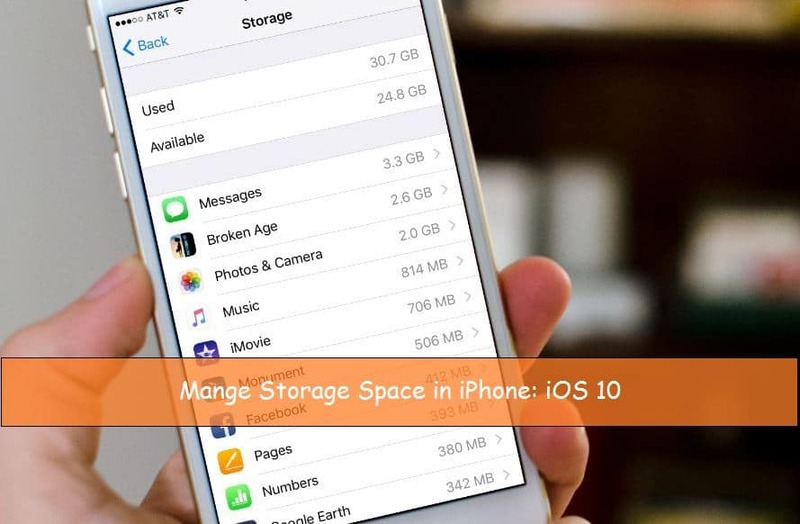 More Welcome suggestions and helpful ideas on free up space to fix insufficient storage in iPhone/ iPad, share on the comment.